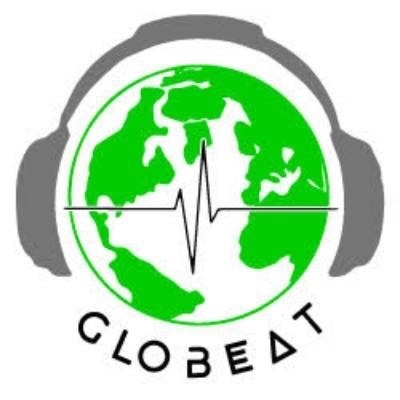 Celebrate the end of the year by listening to GloBeat Best of 2017! Jocelyn Pook – Pook Music #HugoBlanco #MichaelBoyarski #AldeaTeodorovici and more! A new episode GloBeat Music of Ukraine. #ConstantineOgnevoy #Ruslana and much more! Listen to the great #AngeliqueKidjo, from Benin, the prince of Fado #Camané, the genial #SergeGainsbourg, the fantastic South Korean Jazz Singer #YounSunNah, the lovely interpreter of Sephardic music #FloryJagoda, the great dame of the music from Cape Verde #CesariaEvora, the moving Berber voice of #SouadMassi from Algeria and much more! If you think Handel operas are boring you should listen to #ArielleDombasle interpreting “Piangero” Dance to Mozart with the #KlazzBrothers, or if you love Brahms listen to #JaneBirkin. Fly to Venice, and discover #UriCaine jazz interpratation of Wagner’s “Der Ritt der Walkuren” or enjoy the lovely voice of #SisselKyrkjebø singing Puccini’s “O mio bambino caro” and much more! On Sunday 12/03 at 10am ET tune to WERA 96.7 FM or stream from wera.fm. Rediscover some of the great Latino singers like Susana Baca Lila Downs LuisMiguelOficial Arielle Dombasle Ángelacarrasco Natalia Clavier #SoledadBravo#OmaraPortuando #ArmandoManzanero and more! Please remember that Arlington Radio Station WERA 96.7 FM broadcasts GloBeat every Thursday at 6 PM and Sundays at 10 AM. If you are outside the Arlington broadcast footprint you can stream the program by linking to STREAMING NOW or you can listen anytime to any recent WERA programs you may have missed by linking to ON-DEMAND.